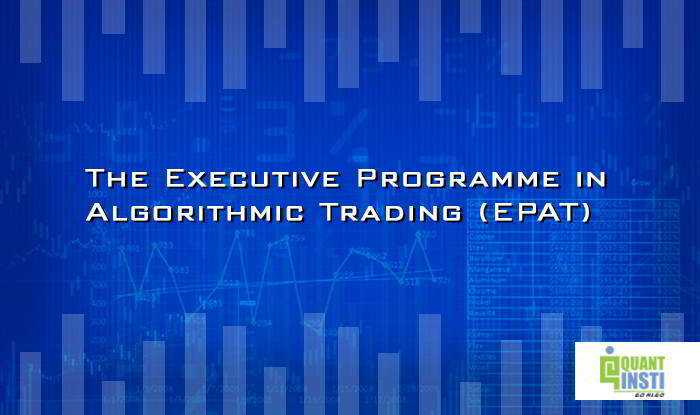 The Executive Programme in Algorithmic Trading (EPAT) at QuantInsti provides high-level training for individuals working in, or intending to move into the buy or sell-side of business focusing on derivatives, quantitative trading, electronic market-making or trading related technology and risk management. The Executive Programme in Algorithmic Trading (EPAT) is designed strategically to accept participants with high intellectual curiosity possessing strong interest in finance and have analytical skills. Although there is no specific degree requirement most participants joining the program belong to various quantitative disciplines such as mathematics, statistics, physical sciences, engineering, operational research, computer science, finance or economics. Participants from other disciplines should be familiar with calculus, spreadsheets and computational problem solving, if they wish to pursue EPAT.